At a Press Conference today, five organizations of survivors of the December ’84 Union Carbide disaster in Bhopal claimed historic victory in their recent protest at New Delhi. They said that the Minister of Chemical & Fertilizers had agreed to both their demands on additional compensation for the disaster. The organizations said that they are hopeful of speedy implementation of the decisions taken at their meeting with the Minister and the bureaucrats. “The Minister has promised full commitment to having scientific data as the basis for assessment of injury caused by Union Carbide. There is abundant evidence in medical research and hospital records to show that well over 90 % people suffered injuries that were neither minor nor temporary. They will now be entitled to Rs. 1 Lakh additional compensation that was denied to them earlier.” said Rashida Bee, of the Bhopal Gas Peedit Mahila Stationery Karmchari Sangh. 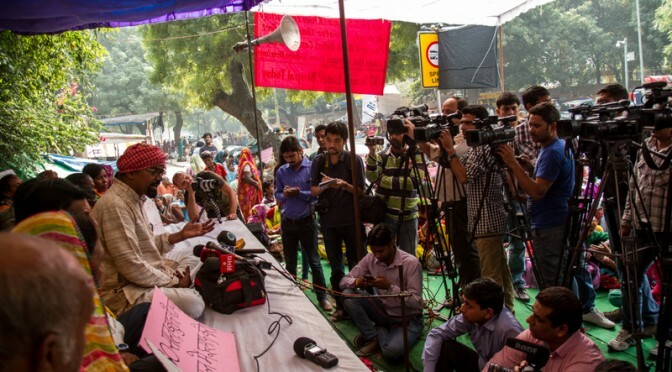 At a press conference today, representatives of five organizations of survivors of the Union Carbide disaster in Bhopal announced their plans of an indefinite water-less fast at Jantar Mantar in New Delhi from November 10 on the issue of compensation. They said that five women survivors will stop taking any food or water demanding additional compensation for all survivors of the disaster and correction of figures of death and extent of injury in the curative petition filed in the Supreme Court by the central government. Rashida Bee, President, of a trade union of women survivors said that the ex-gratia compensation of Rs. 1 lakh was given to only 33, 672 survivors among the 5, 69, 081 people exposed to Union Carbide’s toxic gas. “There is no scientific or legal basis to deny additional compensation to 93 % of the victims. Our protest at Jantar Mantar is for additional compensation of Rs. 1 lakh for all gas victims” she said. At a press conference today, five organizations working for the welfare of survivors of the December ‘84 Union Carbide disaster in Bhopal today announced that a group of survivors and their supporters would be going on an indefinite fast without water to remind the central government of its responsibilities towards the curative petition for compensation pending in the Supreme Court of India. 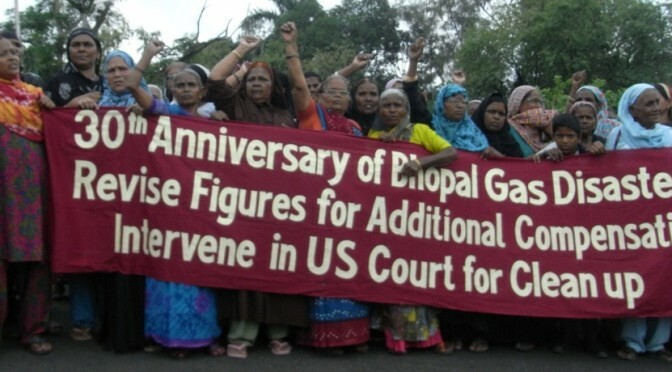 The organizations said that the government had filed a curative petition in the apex court on December 3, 2010, the 26th anniversary of the disaster seeking additional compensation from Union Carbide, USA and its owner The Dow Chemical Company, USA for the disaster in Bhopal.